Perfect fall weather along the Wasatch Front has the masses on their bikes commuting to work, getting a last hit of the Crest Trail or bike-touring the Nebo Scenic Loop to gawk at the colors. In the clinic we are seeing a lot of disgruntled cyclists who are not getting to pedal as much as they want due to wrist pain. 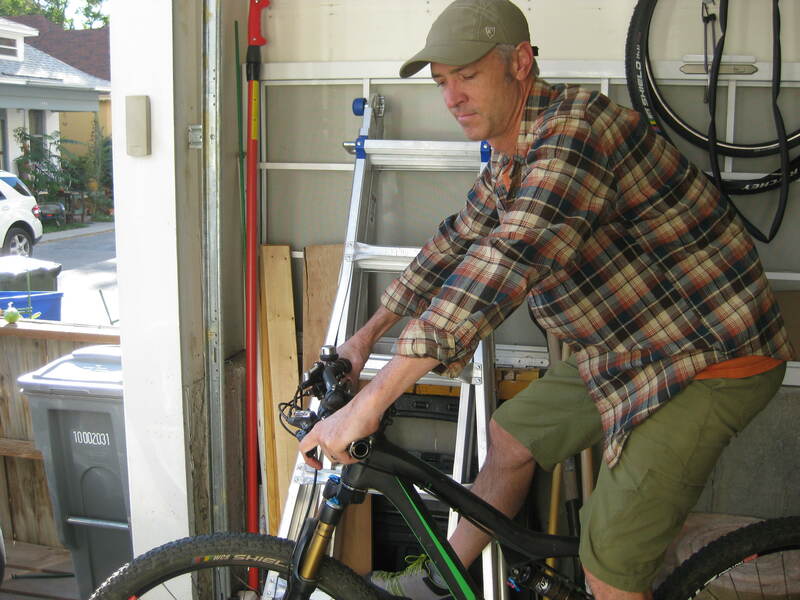 A few simple adjustments to your bike may be all you need to get back in the saddle. Your cockpit (shifters, brake levers and handlebars) and saddle are the most typical culprit for bike-fit related wrist pain. If either or both of these are just a millimeter or two adjusted in an unfavorable position for you, too much weight is transferred onto the tiny bones that make up your wrist (the carpal bones). Ideal cockpit position for both a road or mountain bike style handlebars creates a straight line from your elbow through your wrists to your outstretched index finger on the brake levers. If this alignment is strait, the carpal bones are stacked on top of each other to perfectly bear weight. If there is a bend in your wrist the bones are not stacked. Unstacked carpals cause the muscles, tendons and ligaments at your wrist overwork and can lead to injury. 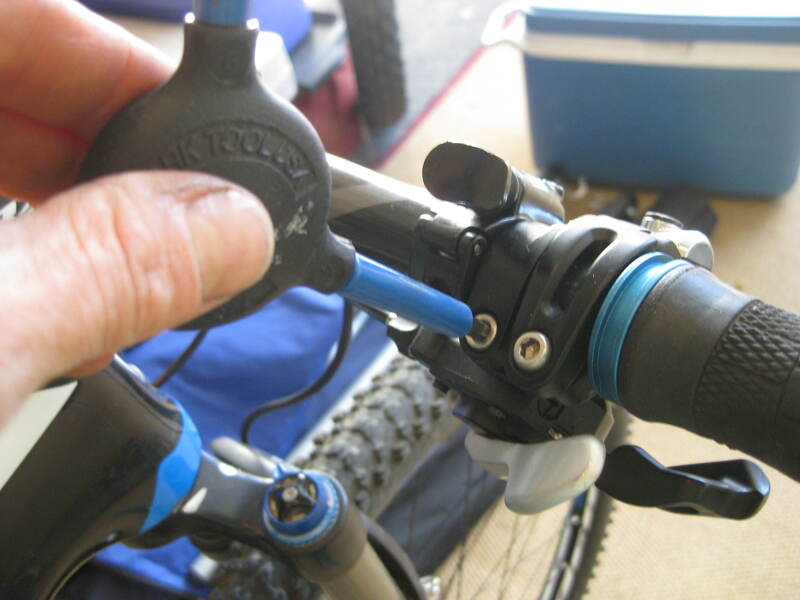 You can loosen the shifters and levers on a mountain bike style handlebar and adjust the angle of the shifters/levers to achieve a straight line from elbow through index finger. 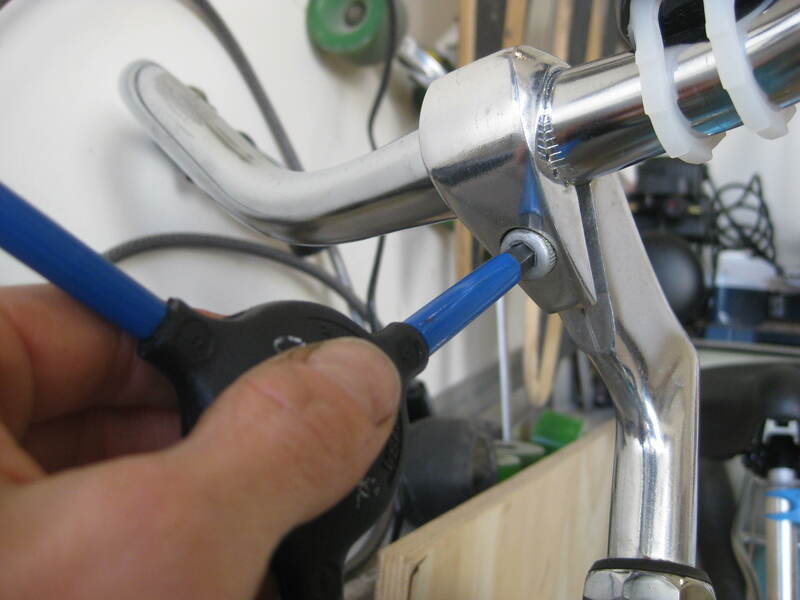 On a road bike handlebar type you can loosen the screws at the bike stem to adjust the angle of the handlebars to accommodate a straight line from elbows through index finger. Too wide mt. bike handlebars with the lever angled too far down and too wide on the bars. The ease of using your shifters and brake levers also effects your wrists. On a mountain bike style handlebar you can move the shifters and levers in or out on the bar. You want the end of the brake lever (most mechanical advantage so you don’t have to squeeze very hard to brake) in-line with your index finger. 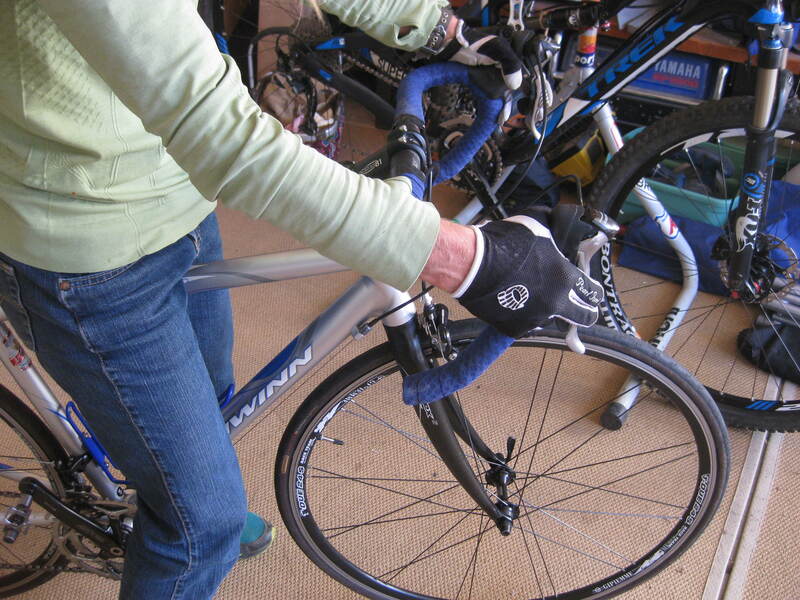 Your hands should rest on the handlebar grips so your index finger is as wide as your armpit. (For some disciplines of mountain bike riding you may want your hands wider, but this is a good biomechanical place to start from.) Here is a link to walk you easily through doing these mechanical tweaks yourself. Too wide road-style handlebars causing the wrists to bow outward. The width of the bars is really important for a road bike set-up. They should be as wide as the rider’s armpits. Too narrow and the wrists will bow inward causing pain on the pinkie side of your wrist. Too wide and excessive weight is placed on the thumb side of the wrist. The only fix for too narrow or wide road bike handlebars is a new set, but they can be inexpensive at your bike shop, you may be able to just trade them out if your bike is a relatively new purchase, or you may be able to swap them out at a bike collective. 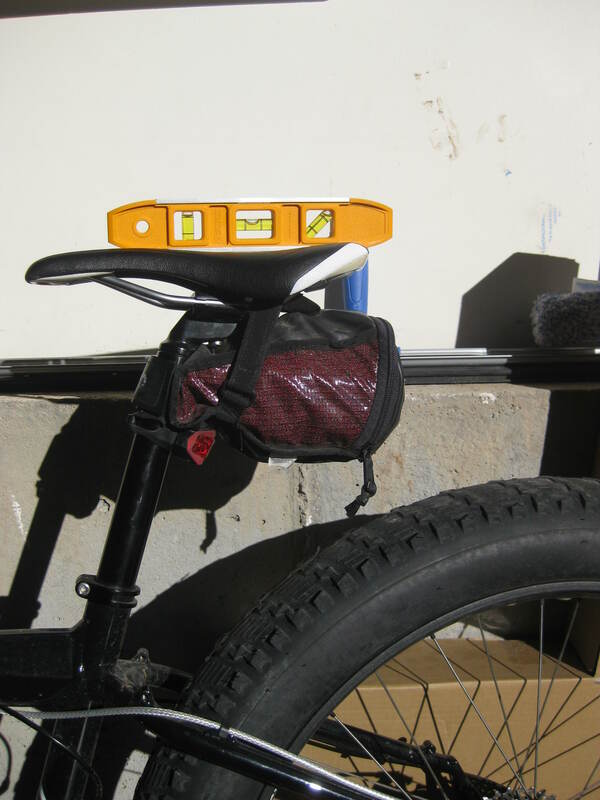 Added bonus – you can put new fun handlebar tape on your bike while you are at it! Speaking of re-wrapping your road handlebars; a thick, squishy foam or cork tape will provide some padding for your hands. There are also adhesive gel strips you put on the handlebars where you hold them before you wrap the bars with tape adding even more personalized padding. Your bike shop can help you with this. Mountain bikes have grips you hold onto. All too often these are a compacted, torn mess on the end of the handlebars. These are cheap and a new set will not only be kind on your hands but may make your bike look fresh too. There are ergonomic grips made by Ergon that create a platform for your hands to rest on. Several of our dedicated bike commuting clients swear by these. Adding a little padding where your hands contact the handlebars can ease pressure spots and absorb some of the vibrations. 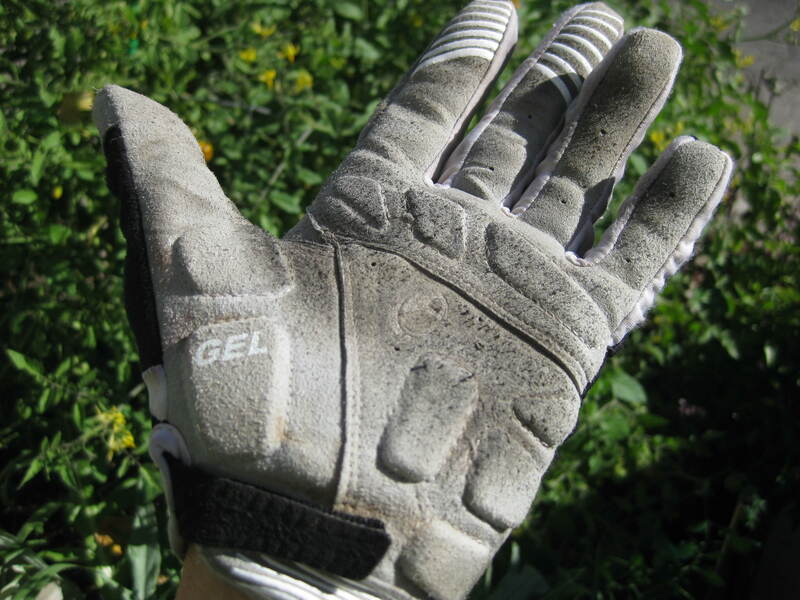 Invest in a good pair of bike gloves with padding on the palms. If your saddle is tipped forward (and just a millimeter can cause a huge shift in your weight distribution on the bike) more of your weight will be placed on your hands instead of in the saddle. I recommend using a level to check your saddle angle. Finally, how you hold the handlebars can exacerbate wrist pain. No Death Gripping! You should be able to wiggle your fingers, chicken-wing your elbows, roll your shoulders and bobble head your neck at all times. It sounds silly, but smiling will relaxes you into a loose position on the bike where you are securely contacting the bike so you don’t let go if you hit a blind pot-hole. If all these simple customizations to your bike do not alleviate your wrist pain while biking, you may need help from a professional. Most bike shops have a professional bike fitter on staff who can pinpoint an error in your fit that is compromising your wrists. And, this should be obvious, any wrist pain that is debilitating, lasts for weeks, is the result of trauma, causes numbness that does not go away shortly after you get off the bike, or simply feels like it is an injury should be evaluated by a physician. 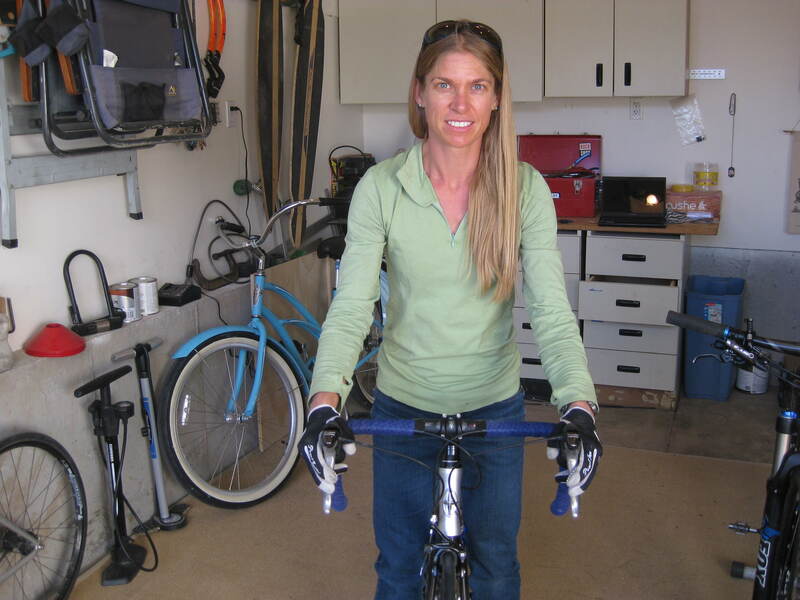 Our business plug: At Focus Bodywork we can treat the wrists through massage therapy if there is some irritation and inflammation created from your old bike set-up, do an evaluation of your bike position and help you train to support better biomechanics through movement therapy, and diagnose wrist injuries through physical therapy. 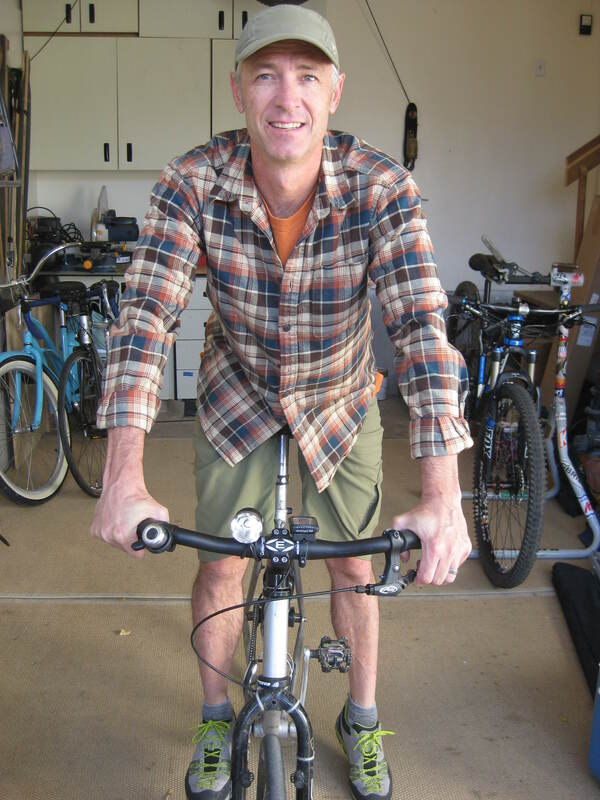 We love addressing specific problems such as bike induced wrist pain by treating your pain source AND your contributing factors to come up with a complete solution. This entry was posted in cycling, hand and wrist and tagged bike, bike fit, wrist pain by focusbodywork. Bookmark the permalink. Great article here- some really good suggestions. I’ve had awful trouble in the past with wrist and arm pains because of my saddle not quite being level. It’s amazing how much literally a millimetre can make.